102. Investiture, Succession, Enthronement, Coronation. But you are a chosen people, a royal priesthood, a holy nation, God’s special possession, that you may declare the praises of him who called you out of darkness into his wonderful light (1 Pet 2:9). We are royal, and we are a priesthood. What kings do is rule. And as priests, as we saw last time, we have access to stand in the courts of heaven. “The kingdom of heaven suffers violence, and violent men take it by force” (Matt 11:12). This does not happen easily. God commanded Adam to subdue the earth and rule (Gen 1:28). You do not just rule, without going through a battle; you do not subdue unless there is something to be subdued; you do not have dominion unless there is something to have dominion over. In our own lives we all have plenty that needs subduing and dealing with. We must be militant about this. We cannot sit back and be passive, then expect to enter into rulership. 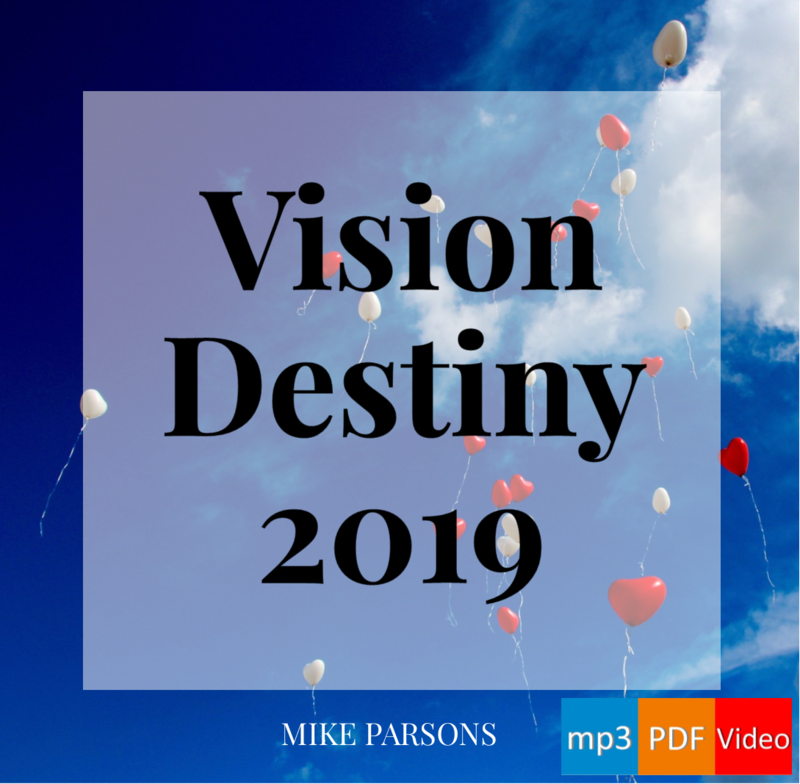 Coming into our identity, coming into our destiny: those things happen when we pursue them, grasp hold of them, and fight for them. Paul said “I take hold of that for which Christ has taken hold of me” (Phil 3:12). The kingdom suffers under forceful ones, and forceful ones occupy by force. There are opposing forces in the heavenly realms whose aim it is to stop us ruling, and we have to deal with them. God wants to invest us with authority. I remember Prince Charles’ investiture as Prince of Wales in Caernarfon Castle in 1969. In the UK, being Prince of Wales means that you are heir to the throne. But you also have to come into that authority. Prince Charles has not yet succeeded to the throne because the Queen is still alive and reigning. He will not succeed until she dies. In the same way, we will not succeed until some things die. Some of those things will be in our lives, but some of them will be in the heavenly realms. We need to see those things defeated so that we can come into that succession. And succession is not enough. We are called to occupy thrones, as we have seen. Put simply, thrones are where we rule from. If we leave those thrones unoccupied, there will be no government in those areas. Or, worse still, the thrones will be usurped by others who do want to rule, but draw their authority from the kingdom in darkness. Ultimately, God will display our rulership on the earth. The sons of God will be manifest. The kingdom will be on earth as it is in heaven. Heavenly authority is higher than earthly authority. That is why we need to rule in the heavens. It supercedes all the authority that operates here. The laws of the spiritual kingdom are higher than (and have precedence over) the laws of the natural kingdom. We live in the first heaven. The Bible tells us that Paul visited the third heaven, the realm where God is (2Cor 12:2). In between there must obviously be a second heaven – so says Greek, linear thinking – and that is where Satan and his angels and demons operate. The enemy has used this broken imagery to his advantage: if we are in the first heaven and God is in the third, then we have to go through that second heaven to get to God. And it is full of darkness. That whole pattern of thinking has stopped us from even thinking we could possibly access the heavenly realms. Some people have tried to do it. They have attempted to go through the second heaven, but have usually been beaten up because they were coming against a higher level of authority with only their earthly authority. As we saw before, we can choose to turn into the kingdom of light, or into the kingdom that is in darkness. 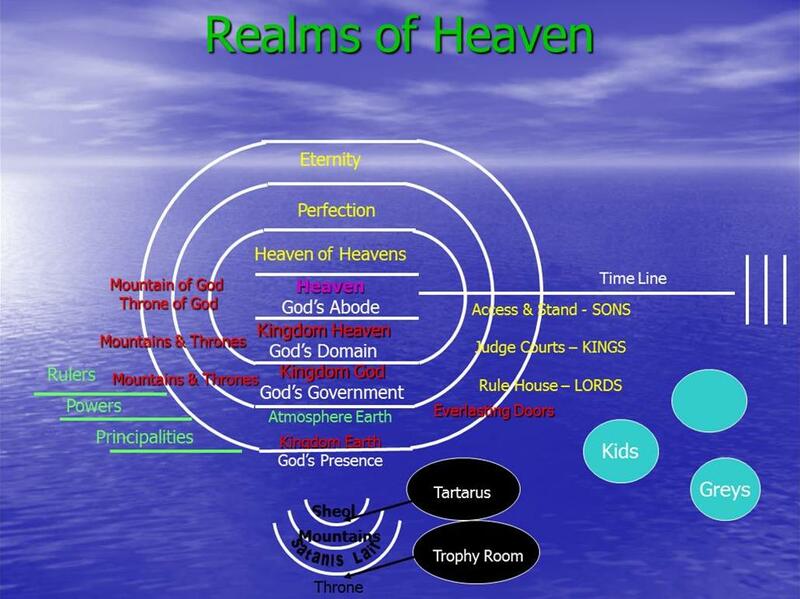 This earthly realm is connected to a spiritual realm which is where God created it from. In fact it is only the word of God that holds this realm together. He is inviting us to go into the heavenly realms so that we can bring higher authority from those realms into this one. When we do, then nothing here or in the atmosphere of the earth will be able to stand against us. Reblogged this on Shower's of Grace & Mercy For All Nation's.